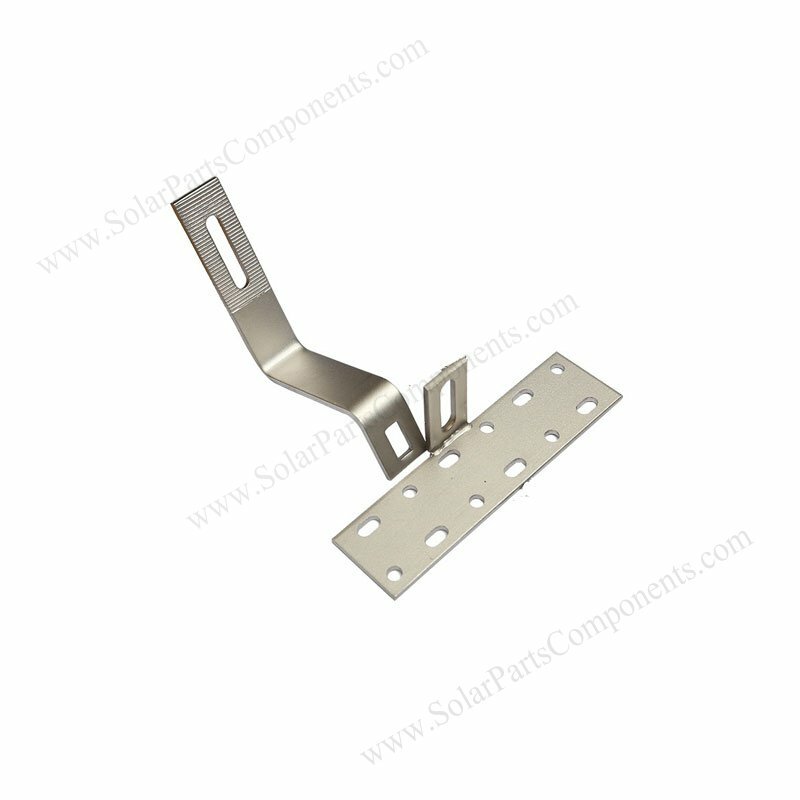 This adjustable solar curved roof hook is designed for Roman, Spanish and clay tiles. 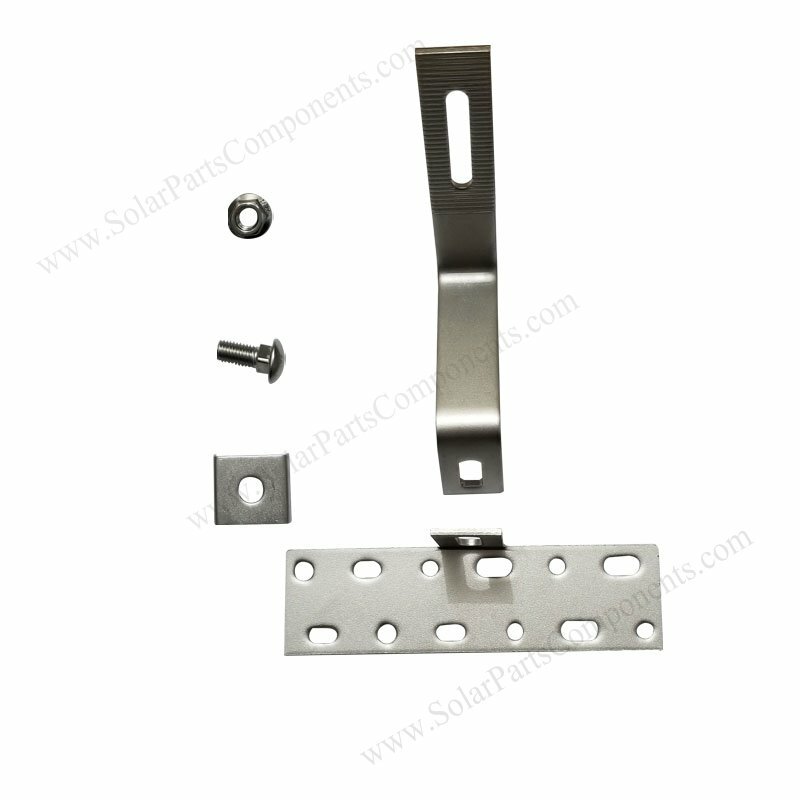 The adjustable curved tile hooks are suitable for both residential or commercial roof tops. 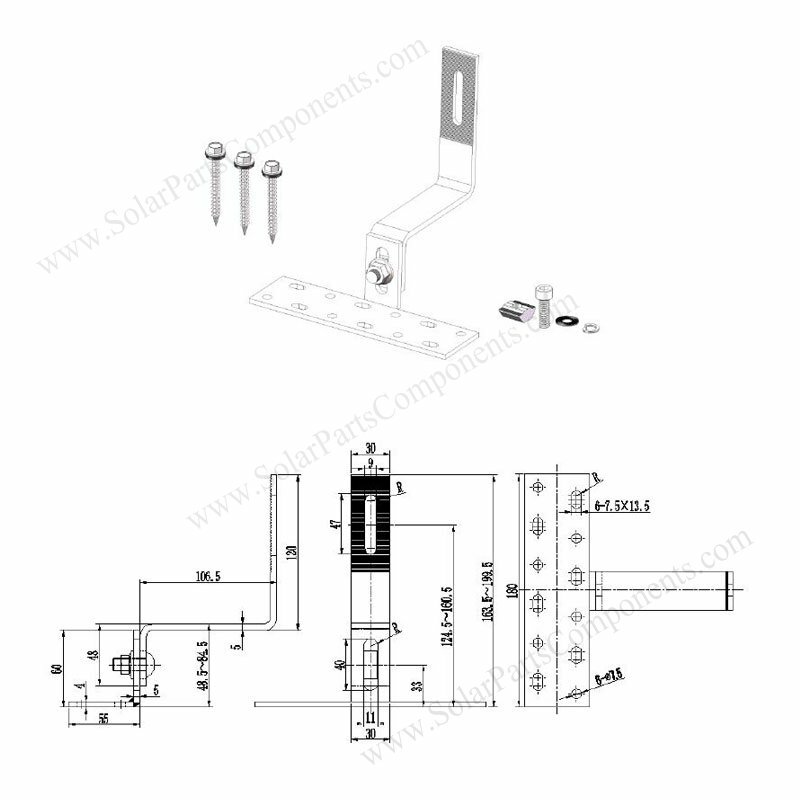 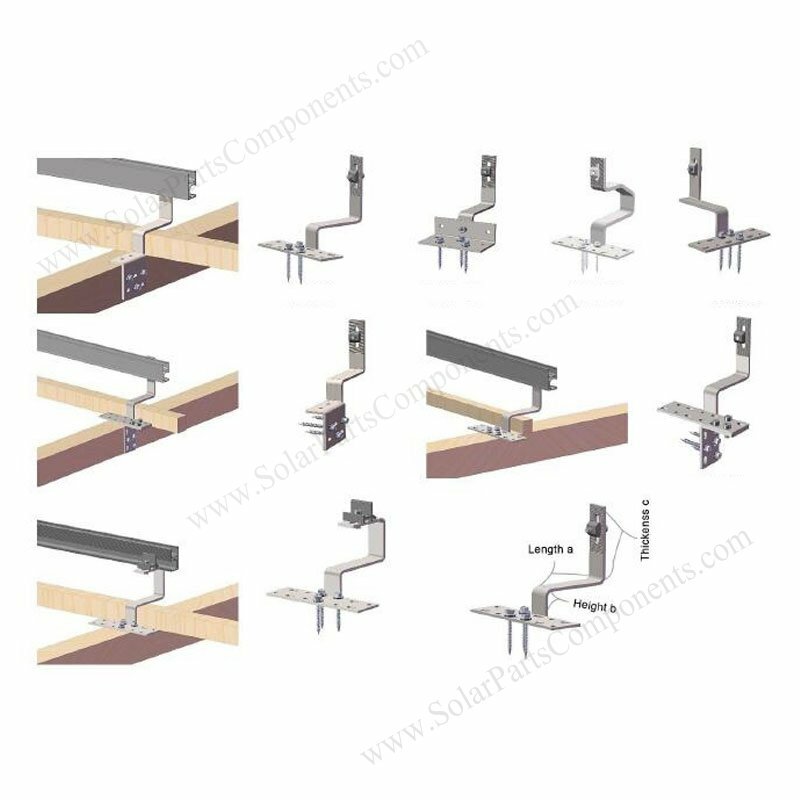 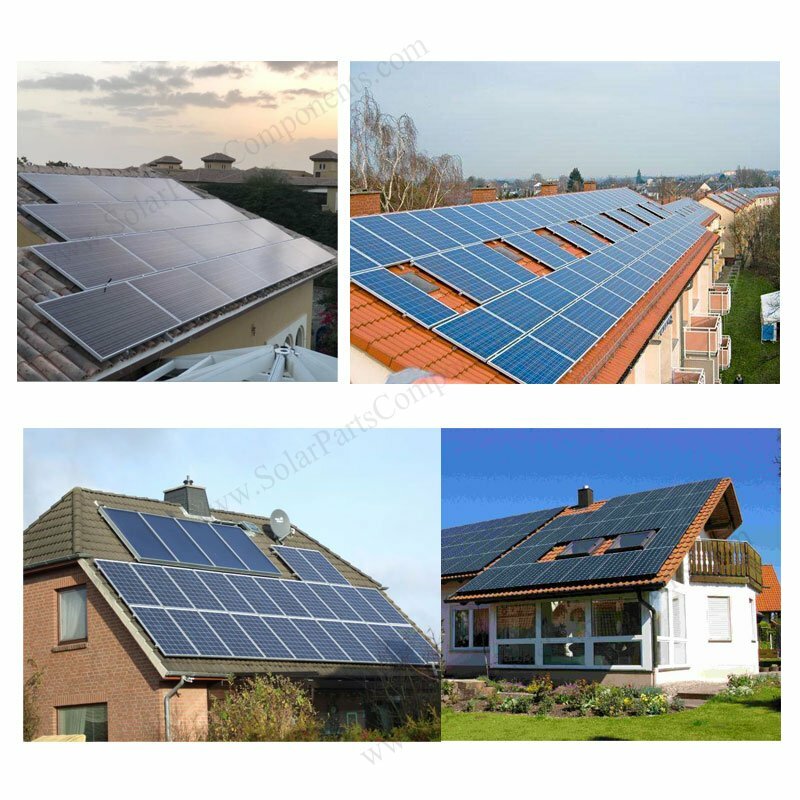 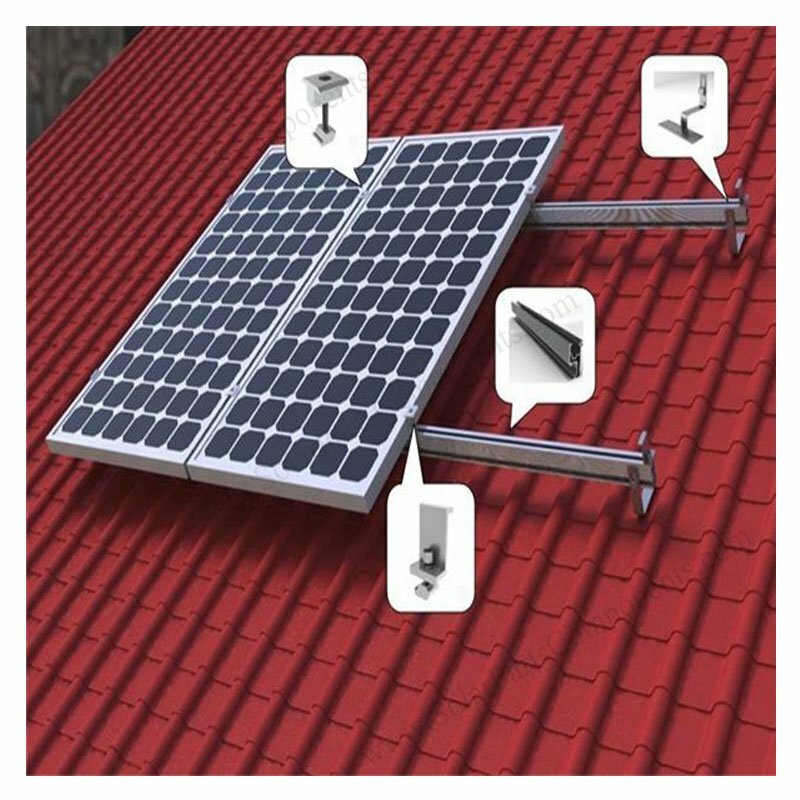 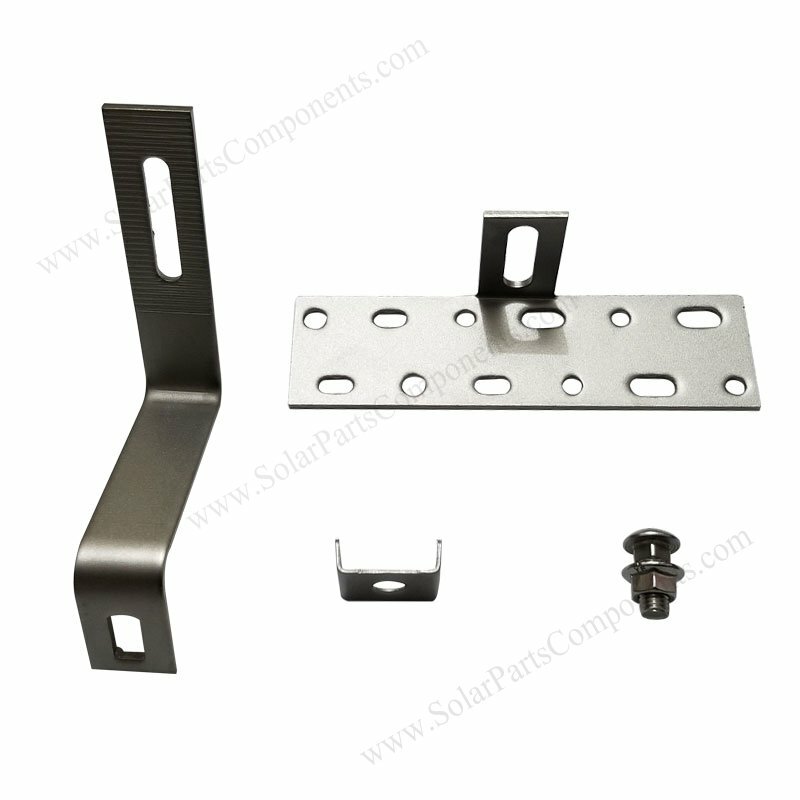 It’s for side mount rails with 90° whatever for portrait or landscape solar panels installation. 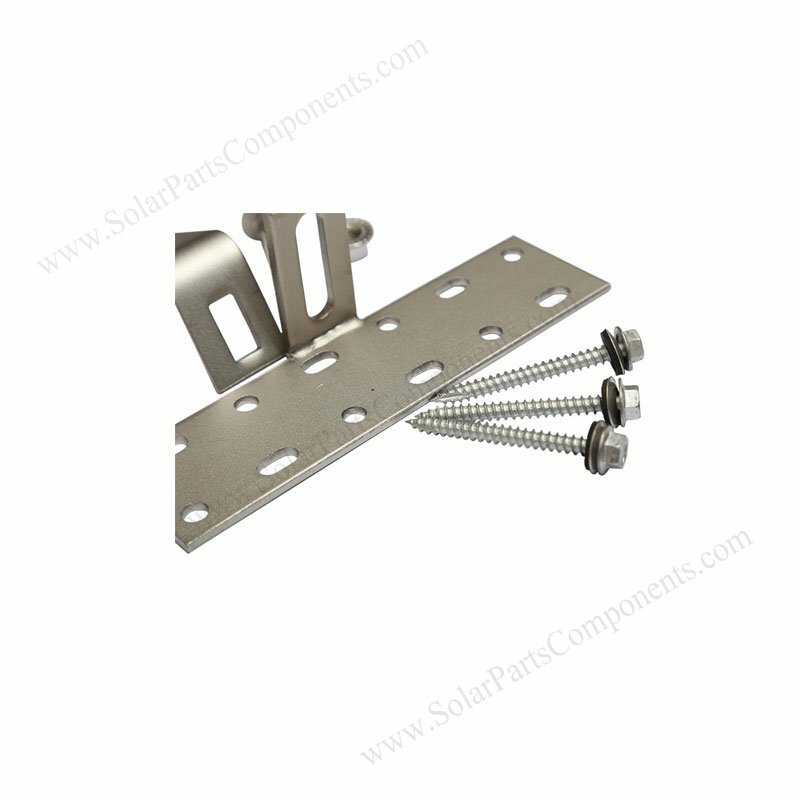 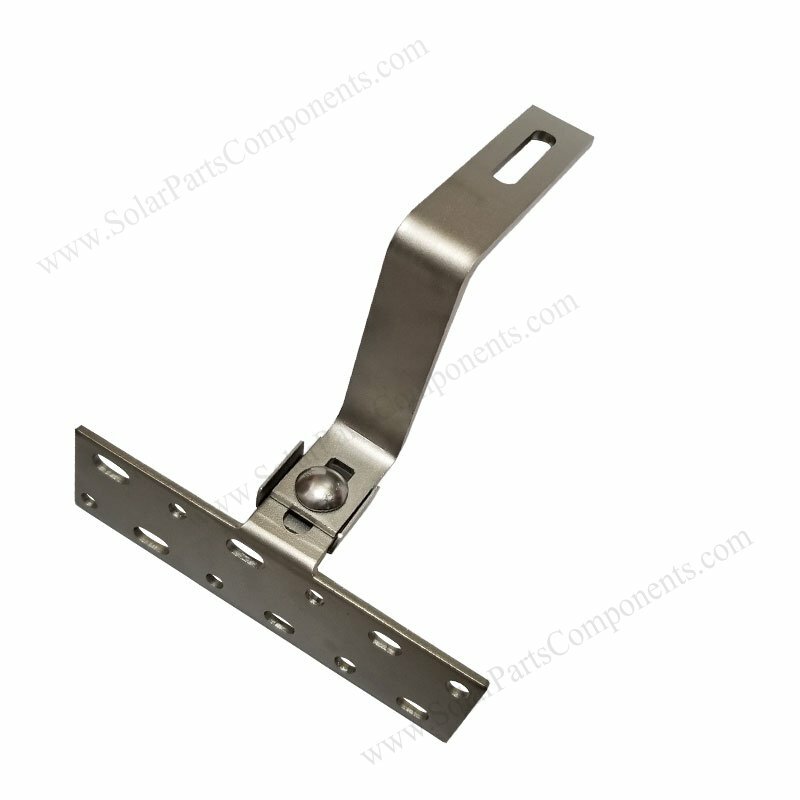 We use good quality stainless steel for our PV mounting hooks . 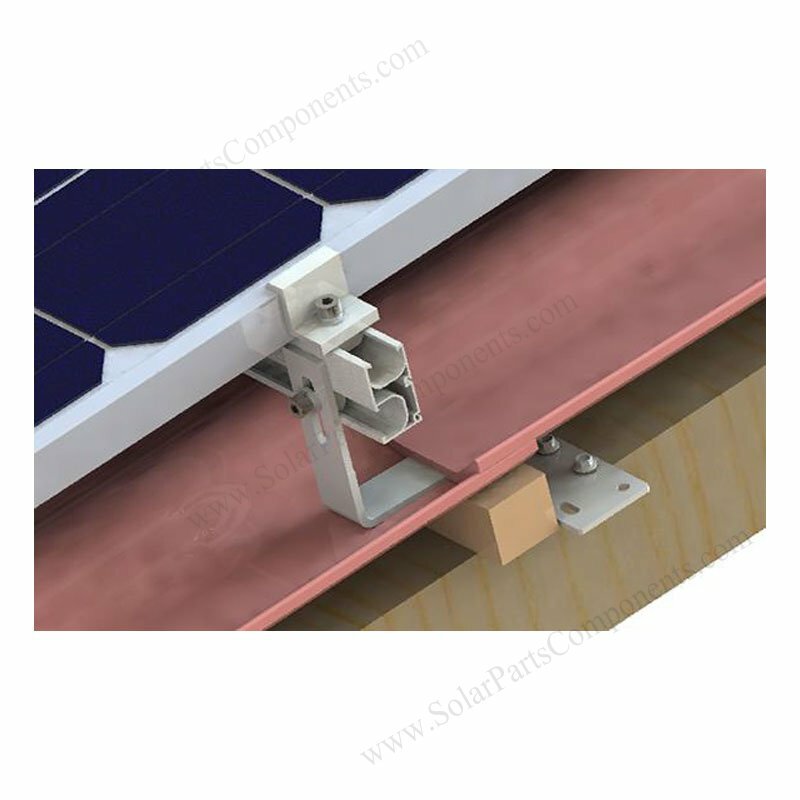 Matched with our mid-clamps and extruded aluminium rail. 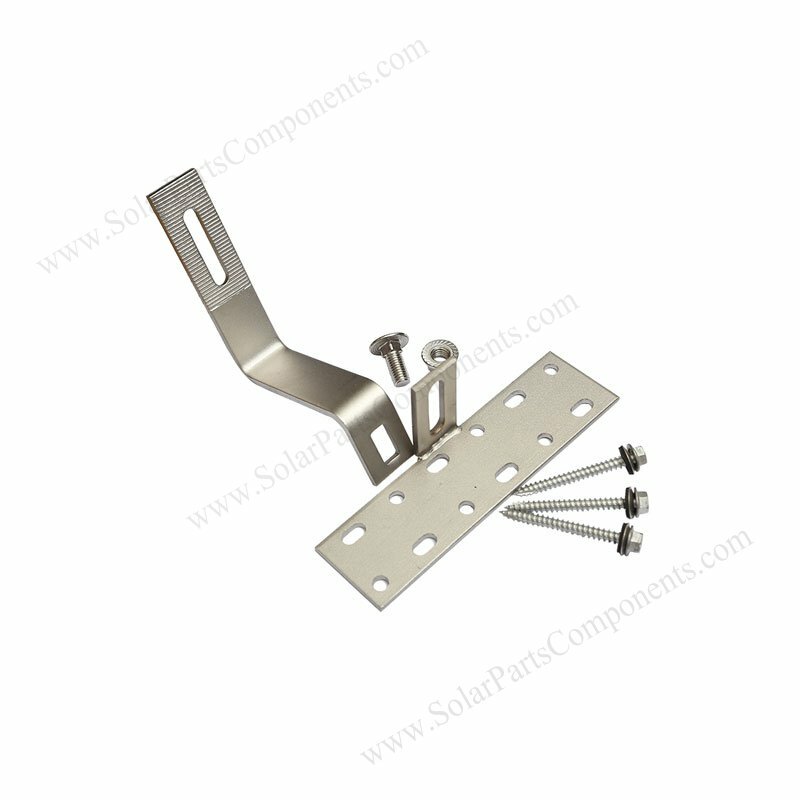 You can install pitched roof hooks very samply and fast. 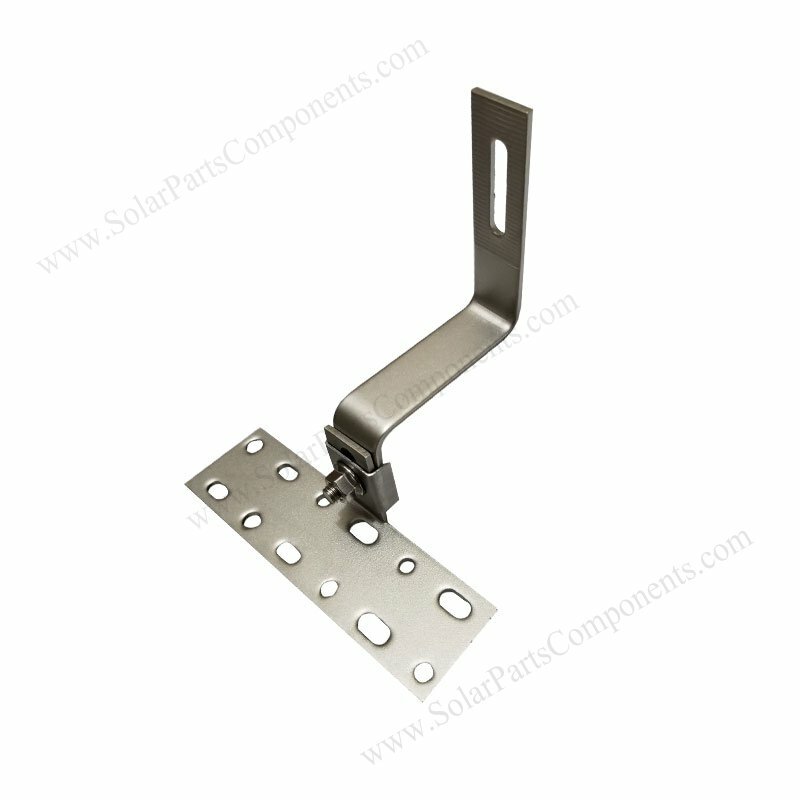 The upper steel hook can be up and down for around 40 mm adjustment according to thickness of curved tiles. 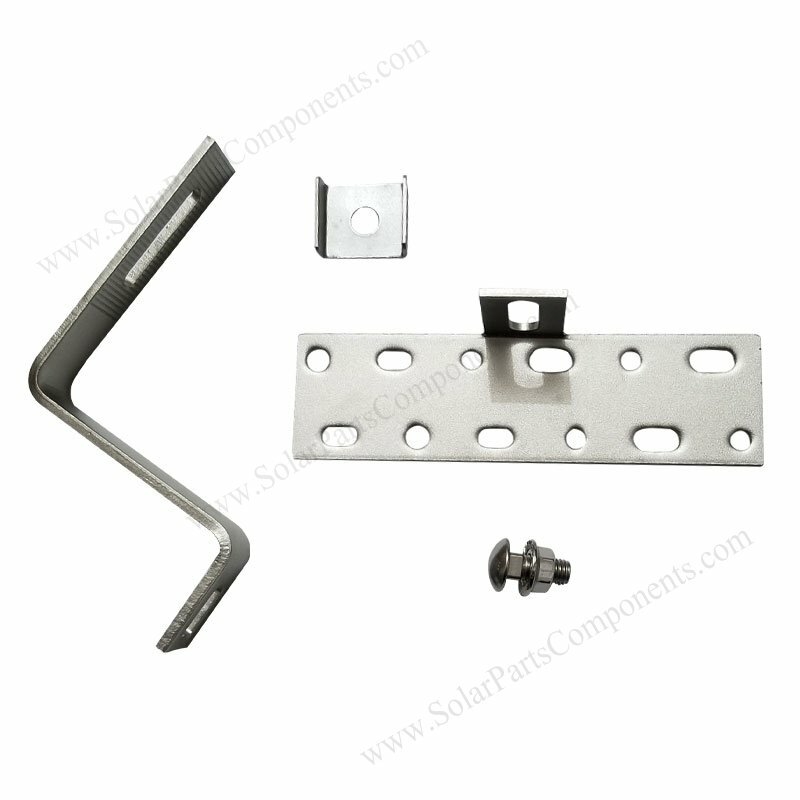 This adjustable clay tile roof hooks are with good struture safety and lood-carrying capacity reliability. 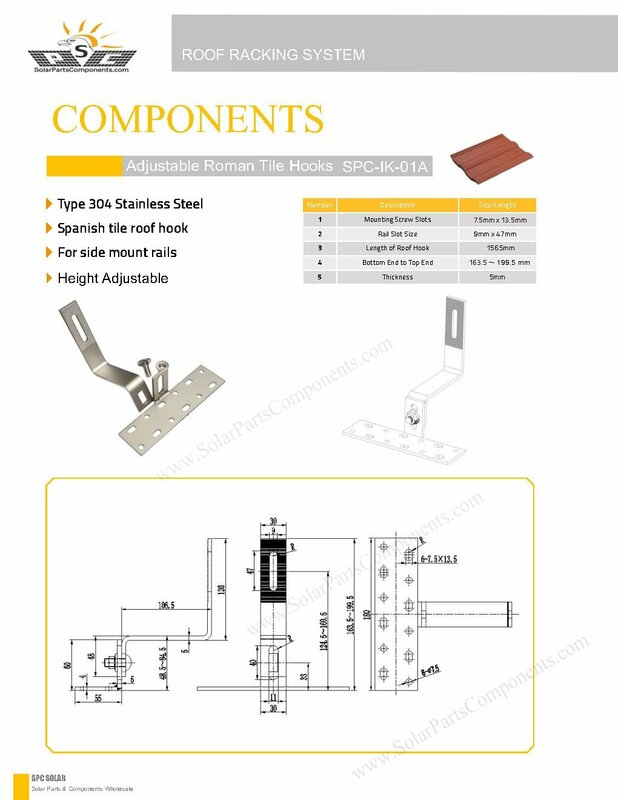 The pitched roof hook with good adjustability can be installed most Roman & Spanish tiles , good flexible and compatible. 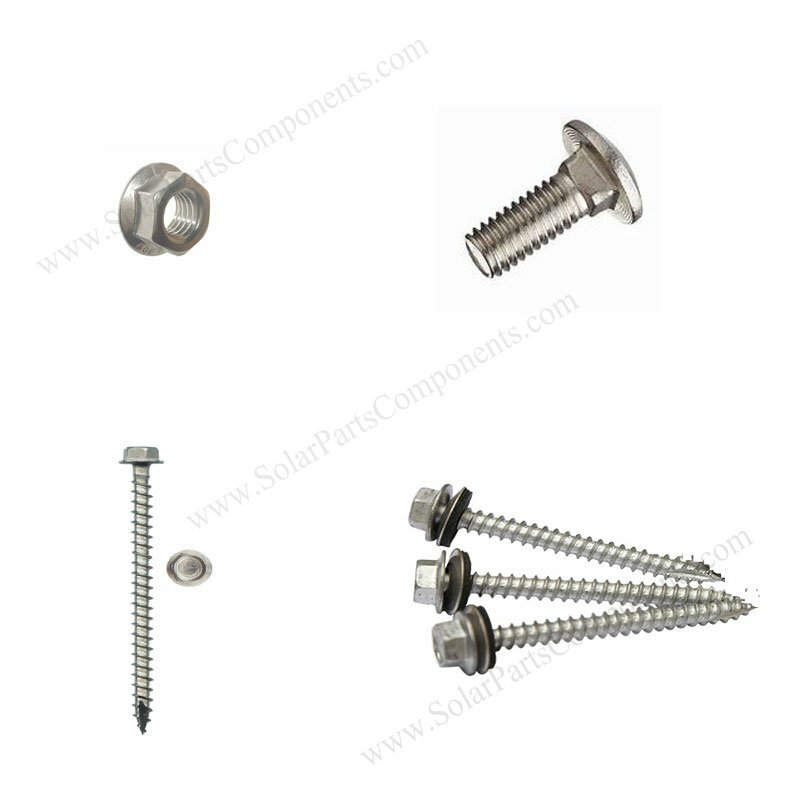 (3) 3 PIECES of Hex Washer Head Stainless Steel Solar Mounting Screws .